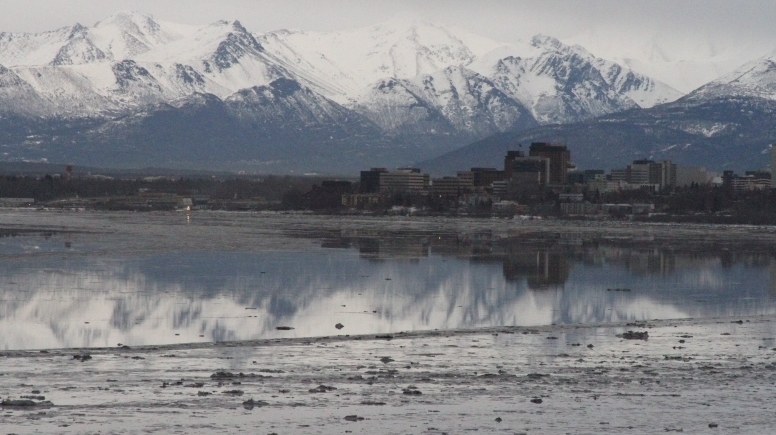 A second environmental group has given formal notice that it will sue the owner of an underwater pipeline spewing natural gas into Alaska's Cook Inlet. 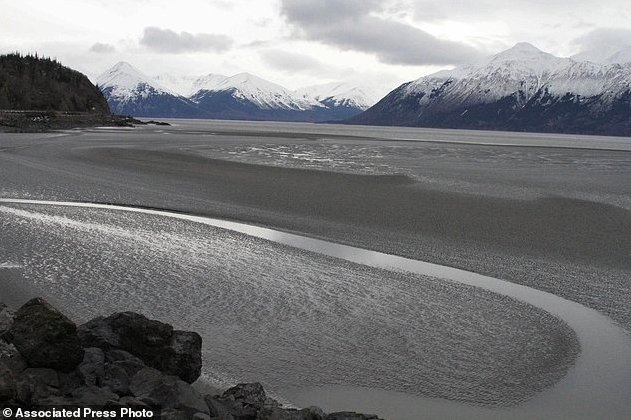 The inlet is home to endangered beluga whales, salmon and other fish. Gas since at least Feb. 7 has bubbled from an 20-centimetre pipeline owned by Hilcorp Alaska LLC. The pipeline moves processed natural gas from onshore to four drilling platforms. The company in a statement said its modeling consultants conclude that only tiny amounts of natural gas likely are dissolving into the water and that there likely is minimal effect on marine life. Hilcorp says the leak will be repaired when it's safe to dive. However, the Center for Biological Diversity in a letter to the company and the Environmental Protection Agency said the leaking gas is a threat to belugas. The Tucson, Arizona-based group said Hilcorp is violating four federal laws: the Clean Air and Clean Water acts, the Endangered Species Act and the Pipeline Safety Act. A lawsuit requires a 60-day notice. "Belugas and their prey are being harmed every day this leak continues," said Miyoko Sakashita, the group's oceans program director, in a statement. "We can't wait another month or more for the sea ice to clear before plugging the leak." The leak is about six kilometres off shore in 24 metres of water. A Hilcorp helicopter crew Feb. 7 spotted gas bubbling to the surface. The company estimates the pipeline is emitting 210,000 to 310,000 cubic feet of gas per day. The Alaska Department of Environmental Conservation and the federal Pipeline and Hazardous Materials Safety Administration are investigating. The pipeline formerly moved crude oil. Shutting off gas could allow seawater to infiltrate and possibly allow residual crude oil to leak into the inlet, according to Hilcorp. Spokeswoman Lori Nelson in a statement said the company has shut down non-essential equipment on production platforms. Divers remain the best option for repairs, she said, but the risk is too great. "Current ice conditions prevent divers from accessing and repairing the line safely," she said. "Hilcorp is ready to proceed once ice conditions allow for safe repair operations to begin." Cook Inletkeeper, a nonprofit dedicated to protecting the Cook Inlet watershed, previously gave 60-day formal notice that it intends to sue Hilcorp under provisions of the Clean Water Act. Responses to "Alaskan natural gas pipeline has been leaking for nearly a month"